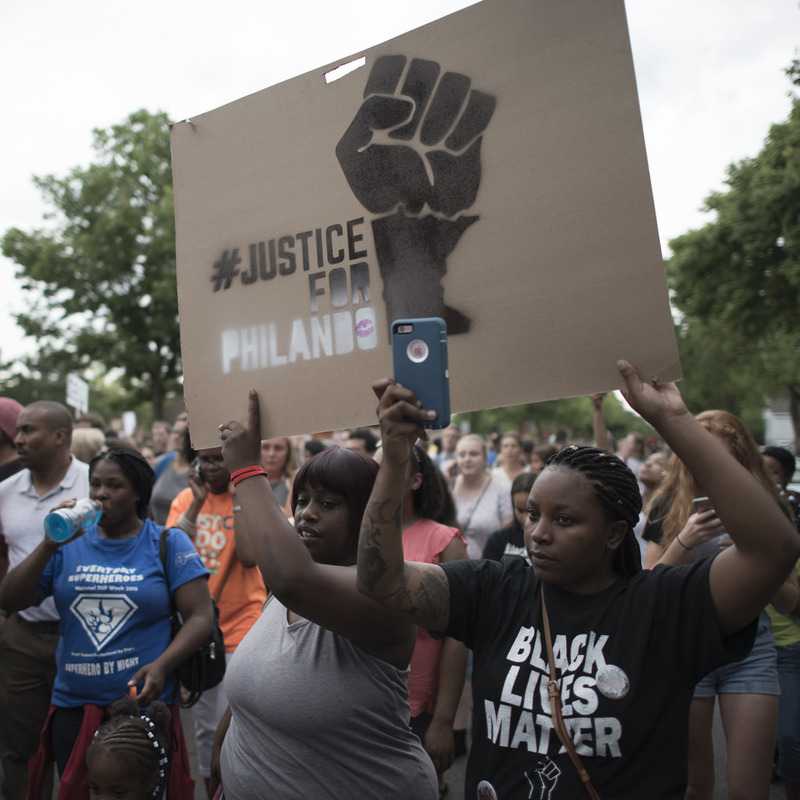 On Tuesday evening, Ramsey County, MN released dashcam footage of the police-led shooting death of our brother Philando Castile. This heartbreaking imagery adds an exclamation point to the end of this year-long sentence. A sentence that began on July 6, 2016 as Castile’s girlfriend, Diamond Reynolds, live-streamed the gut wrenching scene of officer Jeronimo Yanez killing Castile as she and her daughter sat defenseless and terrified in the car. This image will haunt them forever. Castile followed the officer’s orders. He pulled his car over. He was respectful. He informed the officer that he had a license to carry a firearm. He reached for his driver’s license as requested by the officer. After all of this, within only 74 seconds, Philando Castile was shot and killed by a police officer frightened by nothing more than the sight of Black skin. Respectability did not save our brother’s life. Yanez lied to Castile about the reason for being pulled over. He claimed it was for a broken tail light. However, the dashcam footage reveals he thought Castile and his girlfriend fit the description of robbery suspects – primarily because of Castile’s “wide-set nose.” Castile, fed a lie by the officer, had no reason to see the interaction as anything other than a routine traffic stop. No reason to assume the officer was approaching him with aggression fueled by bias. Raise your hand if you have a “wide-set nose.” Damn near any one of us could have ended up like Castile on that evening. Castile was not involved in any robbery. In fact, he held a critical role in his community by working daily to add value to the lives of youth as a supervisor for the St. Paul Public Schools Nutrition Services Department. He was loved by the people he served. And, he loved the people dearly. When asked by his friend and coworker John Thompson why he worked extra shifts in the summer, Castile simply responded, “I’m working this summer because I love the kids…man, I love everybody.” Those were the last words Thompson heard from Castile. Officer Yanez has been on paid leave for the past year. He was likely able to spend quality time with his wife from the comfort of their suburban home and be present for his infant daughter’s first milestones. Castile, on the other hand, was robbed of the chance to help his girlfriend raise her then-4-year-old daughter and to continue enhancing the lives of the school children he served. As the verdict came in to clear Yanez of all charges, the police department announced they were firing the officer but are now negotiating a “separation agreement” to help him transition to a new career. Yes, NEGOTIATING. Yanez can request a package he deems appropriate. This situation we are in is like a terrible movie playing on a non-stop loop. As Black bodies continue falling in the streets at the hands of the State, the officers involved are rarely held accountable for their actions. In a sense, they are actually rewarded. Although the jury has made their decision, the battle is not yet over. Join us in signing the Color of Change petition to demand that Yanez does not receive severance pay. Demand that police officers are not allowed to profit from the theft of Black lives and the destruction of Black families. Click here to sign the petition.